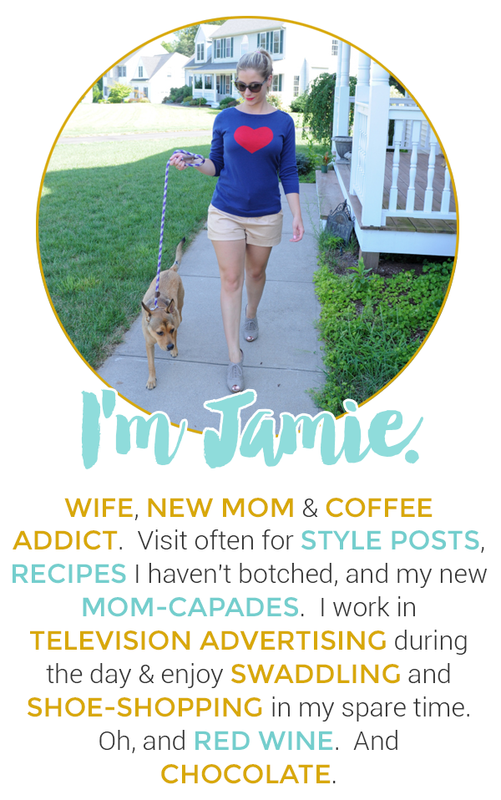 As a working mom of a busy toddler, I have to make a conscience effort of putting aside time to do family activities with my son that do not involve eating, games, TV, and electronics. At daycare, I see Gavin bring home the cutest little projects with glitter, paper plates, and glue. I always have a little ping of pain that makes me feel guilty for not doing more creative "mom" things with him. When I get home from work, Gavin is usually ready to play and as I pretend to build a castle with blocks, I sometimes secretly dream of when he goes to bed so I can catch up on 'The Bachelor.' That's where the guilt comes in. And that's OK. As parents, sometimes we truly don't want to play blocks, play-do, or be crushed in a little tent that makes your back hurt. But we do it anyway. We love them and find joy in their happiness. Any of you ever feel guilty for not being present in the moment? My goal this year has been to truly soak up the moments in the back-aching tent and never wish another moment away. Especially moments like that. Work can wait. Laundry can wait. These moments are worth a million dollars. 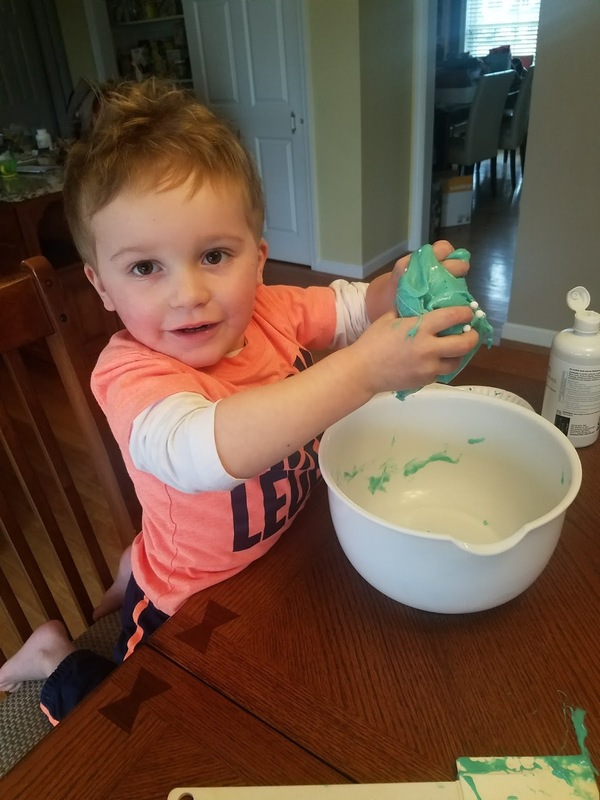 My husband helped reel me in to enjoy some good old fashioned toddler time by suggesting we make slime with Gavin. It was so fun, easy and less messy then the average toddler craft. We made fun mint green color for St. Patty's Day. Enjoy your family and make some slime. That's my PSA for the day! 1. Pour 12 ounces of glue into a large mixing bowl. 3. Add 2 tablespoons of saline solution. this looks so much fun! My niece would love it!